I hate to do this but my wife says I don't need 2 vans in the driveway. 1988 Chevy G30 $2500 OBO, 454 V8 with GM TBI fuel injection, Turbo 400 transmission, 125" wheel base, PS,PB,PW,PDL, NO AC (I have condenser and evaporator still in hvac box, no compressor, hoses or engine mounting brackets) engine was pulled from '85 motorhome with 59,000 miles on it. It was originally a 4 barrel motor with a std gm hei distributor, I still have those components to go with unit. I have put approximately 20,000 miles on engine and transmission since installation, FI conversion was done at time of installation and is done via a 4 barrel to TBI adaptor plate and small cap with remote coil distributor. Chassis has 170,000 miles on it. Engine is also equipped with JEGS long tube headers w/O2 sensor port in left collector. Only issue keeping it from passing Virginia state inspection is exhaust (Bambi took out the right side muffler early one morning on my way to work). As I started off this post I hate to sell it but I have purchased a more wife friendly , newer 155wb unit. She is saying this one needs to go ! 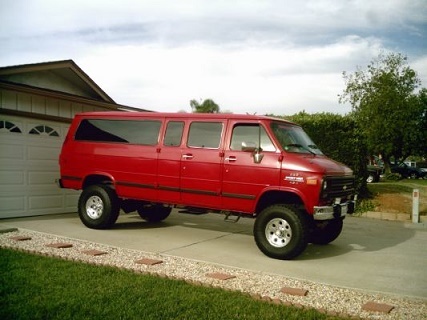 1988 Chevy G30 454/400Th 125wb? inside pics??? I am interested! Hi Alan, Welcome to the Site! "I hate to do this but my wife says I don't need 2 vans in the driveway." Oh Contraire..
With much respect to your betrothed, I totally disagree! 1. You have a really nice spread there, Another Van, or 2 is a problem? Come on, You have the room. 3. I know deep down inside, you really don't wan't to sell, and are reaching out in a desperate attempt for help.
."As I started off this post I hate to sell it but I have purchased a more wife friendly , newer 155wb unit. She is saying this one needs to go !" 5. You win? His, N Hers. Sounds like a compromise to me. But if not, good luck on the sale, shouldn't take long. Thanks for the kind words but happy wife happy life ! HaHa ! As far as building one that’s not a problem as I happen to be a mechanic . The wife friendly new van is part of the new van means it is equipped with modern safety equipment and working air conditioning and air bags. Also quite a bit quieter, you see I’m pulling out of the driveway at 4:30am 5-6 days a week heading to work. Ha! Much new Vanning happiness your way Alan and Fam! Safety first, quiet, and cool air is good. Airbags saved my Boy in HS. So, good Score. Kudos to you for Mechanicing full time too, hard work for the long run, Real Estate will sound better as you get older, lol. Again Welcome and Best of Luck on a quick sale! What front door panels are on this?? I've never seen them before and I really like the way they look! As far as building one that’s not a problem as I happen to be a mechanic . 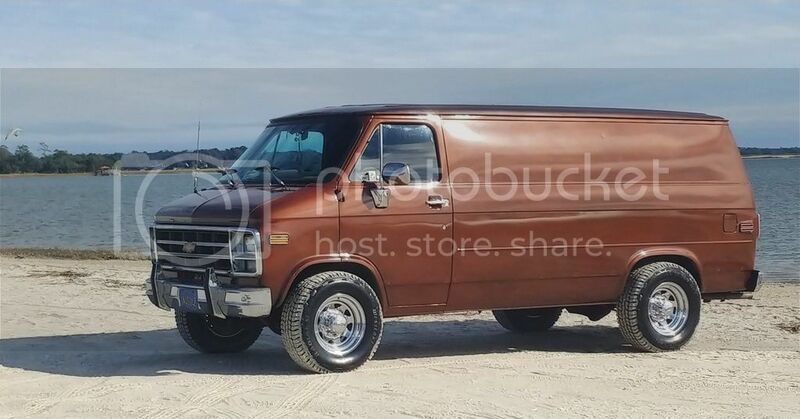 BUt the one your sellin is FACTORY .... which makes it a very rare veh ... most of the 454's made went into trucks N cars ... not many left for a van .... I have a 1 0f 3 '93 N a 1 0f 16 '92 .. been offered a lot but wont sell it ! They are out of a ‘92 G20 conversion van I found at a local recycle yard. I had never seen any others like them either. Oh no mine unfortunately isn’t factory. OEM was 350 4 bolt main with TBI, backed up by the 400 turbo trans. Blown head gasket and wiped cam lob prompted the engine swap. The 454 was actually intended for a ‘75 C10 square body project. 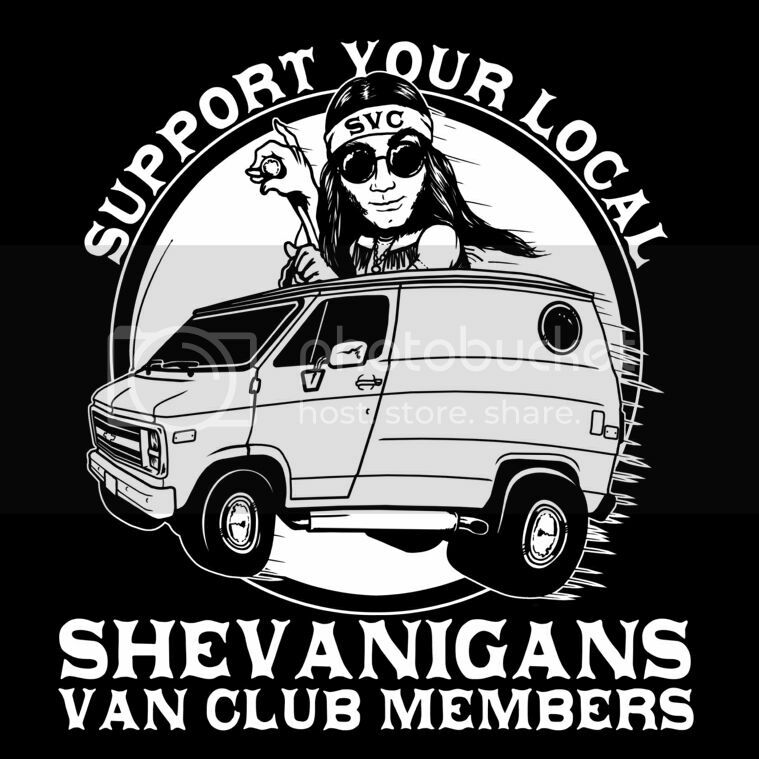 But after installing in the van it was so much fun to drive I decided that’s where it needed to be. The 454 was an option in ‘88, although carburetor only and usually in G30 cut-away units. At least I have never found one in a flat top standard chassis. I was able to source all components at the local auto parts chains for the installation.